The Super Swimmer Jr is a great new addition to the Super Swimmer family. 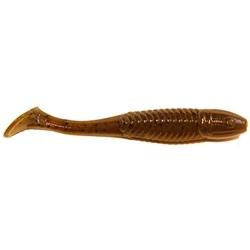 At 3.75″ you can put it behind your favorite chatterbait, or fish it by itself. The smaller profile is great for getting the key bites on tougher days on the water. Fish go crazy over the size and action of the Super Swimmer Jr!